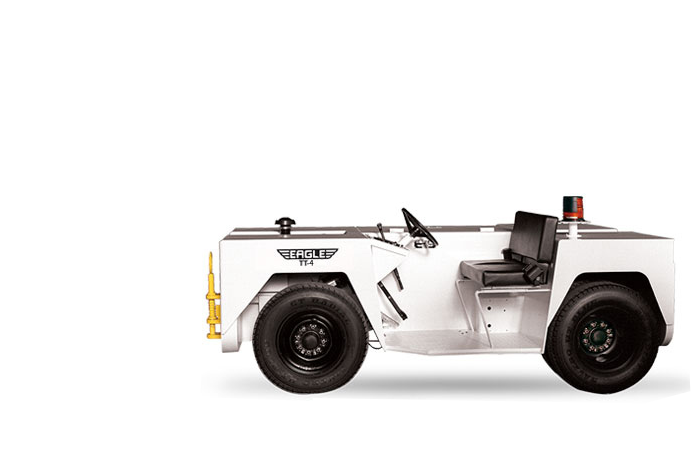 Eagle TT Series tugs are the only All Wheel Drive (AWD), mid-operator aircraft tugs in their weight class. With Eagle TT Series tow tractors, you'll get excellent traction, equal weight distribution, and direct line of sight of the rear and front hitches. The Eagle TT Series is designed to tow or push all light to super midsize business jets and regional jets in all weather conditions. With over 25 years of design improvements, the Eagle TT Series tugs have become some of the best reliable aircraft tractors on the market. Ideal for aircraft such as the Challenger 850 and Citation Longitude. Ideal for aircraft such as the Challenger 650 and Falcon 900. Ideal for aircraft such as the Citation X, G280 & Challenger 350. Ideal for aircraft such as the G150 and Citation Sovereign.